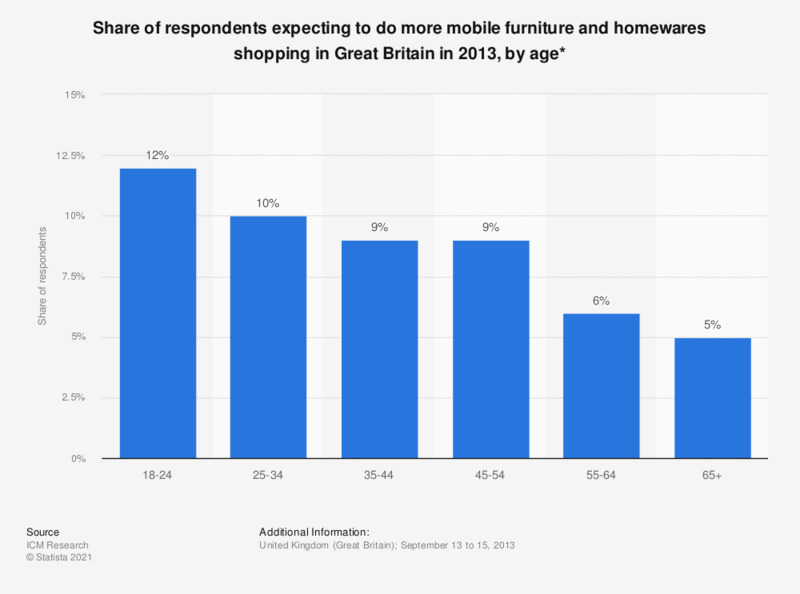 This statistic displays expected mobile furniture shopping among Britons in 2013, by age. Of respondents aged 18 to 24, 12 percent reported expecting to do more mobile shopping for furniture, homewares and DIY products. * Original survey question requested that respondents consider shopping they will perform over the next year.